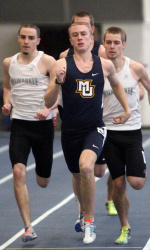 For the longest time, Kyle Winter (Junior on the Track and Field team at Marquette) had played the game of soccer since he was a little kid. As a junior in High School, his soccer team won the Division I state title, the first ever in school history. After all the success, Kyle was receiving offers from DePaul of the Big East to play soccer in their program. But one day can change your whole life. Terry Witkowski (one of Kyle’s friends who runs at UW-Stevens Point) came up to him after school and told him that he should try out for the track team. Kyle wasn’t sure about trying out but he did anyone to see what track is really all about. He ran the 3-mile race with his friends and came in last place. He felt embarrassed and almost wanted to leave. Until he ran the 200 meter race. A 200 meter run is a sprint on one half of the track from start to finish. Kyle out ran everyone in the race and said, “Yeah, that was pretty cool beating everyone.” After that moment, the love of track came into his life and he put soccer aside because he said, “I knew I was done with soccer when our team won state. I won in soccer and I knew it was time to move on.” Kyle kept working hard in practice everyday during his senior year and top tier programs like USC and Michigan even came to Wisconsin to recruit him. 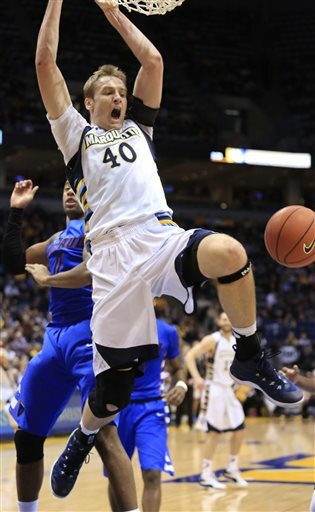 In the fall of 2009 he came to Marquette University and now in 2012 of his junior year, he did something no one has ever done. 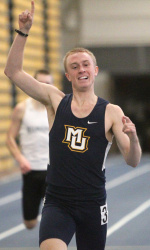 He has won a Big East Championship indoor track title for Marquette. He started the race off slow, playing smart on getting the right positioning for the final lap in the race. He started in second, then fell to sixth, and in the final lap he was in last position hoping to make a final push. He moved out to the right and sprinted from the back to the front of the pack where he found Pittsburgh Senior Dontave Cowsette just a few feet in front of him. Kyle in his head was saying, “We’ve never done this, we’ve never done this! I can do this, I can do this!” Then with just a half stride apart, Kyle leans his body over in front of Dontave right at the finish line. But looking at it from the naked eye, it looked like they both cross the finish line at the same time. Big East Officials had to go to the computer screen for five minutes to see if Kyle or Dontave crossed first. Right now, Kyle is focusing on working hard and doing well in the classroom. He is a double major in Finance and Marketing and wants to succeed in those fields just in case track and field doesn’t work out. Kyle is a Big East champion and ranks third all time in the record books. His life changed from being soccer champion in High School to now a Big East track and field champion in college. 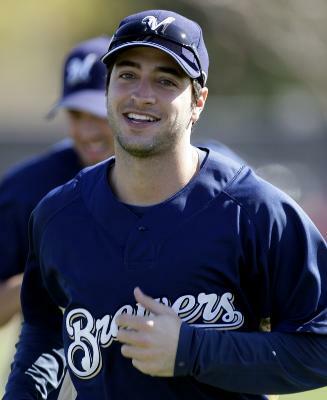 National League MVP Ryan Braun‘s 50-game suspension has been overturned by baseball arbitrator Shyam Das. The decision was announced Thursday by the Major League Baseball Players Association. An outfielder for Milwaukee, Braun tested positive in October for elevated testosterone, and ESPN revealed the positive test in December. No reasoning was given for Thursday’s decision. “Today the arbitration panel announced its decision, by a 2-1 vote, to sustain Ryan Braun’s grievance challenging his 50-game suspension by the commissioner’s office,” a statement from the players’ association said. 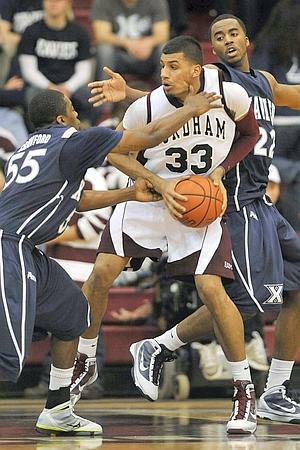 Hey Fordham Basketball Fans! It’s a rough morning to wake up and realize that your favorite team has lost to St. Bonaventure by 26 at home. It’s time for me to rant and write about my favorite player Chris Gaston. The reason I love Chris Gaston is because he is a star talent who fights and wills his way into the lane for rebounds, points, and attempts to the free throw line. This year, he became an integral part to the Maroon-White zone that worked during that winning stretch over Georgia Tech and Harvard. Now, where has he gone? This is a Chris Gaston who has been suspended for a game for throwing back punches at a URI player and violating team rules. Is Chris Gaston just sick of losing? Is he sick of doing everything Coach Pecora says because frankly, it hasn’t been working? Honestly, I don’t have the answer but what I do know is that he needs to be a leader and he cannot give up on his team like this. Every press game conference when I interviewed Chris he said, “I want to be a leader. I wanted to communicate with everyone.” Chris, where is that communication? Where has it gone? Honestly, I think it has gone to his head and that is what has caused him to be in the trouble he has been in. With three games left in the conference, he has to leave it all on the floor. 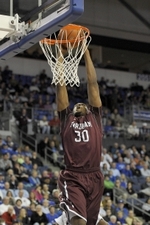 He has to make Fordham fans and also scouts around the nation realize that he is the best player at Fordham and he can will them to wins in the Atlantic 10. In Chris’s behalf I have to say that he has gone through a tough road with changing coaches, a 41 game losing conference streak, and never making it to the Atlantic 10 tournament in his career. But you can’t give up on the team. I watched the feature YES network did on Chris and the whole team looks to #33 for everything. They look to him for advice, leadership, guidance, and production. Now, with three games left Chris, show your team and yourself that you can do all of that and be a First Team All-Atlantic 10 player. I am not knocking Chris at all. I am writing this to and for Chris to realize that he has a number one fan right here in Milwaukee, Wisconsin. 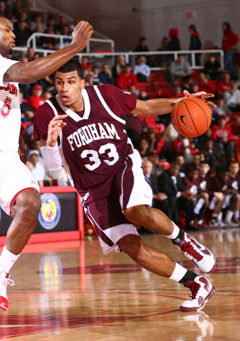 I am a Senior who should be worrying about jobs, life, and my future but I also care about Fordham Basketball. The team and the program is part of a family to me and when someone gets down, someone needs to pull him out. Here is my Resume Tape Sports Fans. Trying to make it in the world of television and wanted to show you my work and my progress. Tell me what you think? My name is Donnie Dwyer. 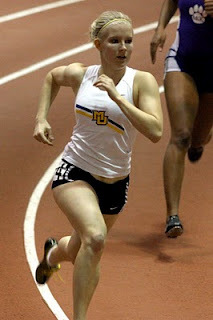 I am a graduating Senior at Marquette University 2012. I am from Hawthorne, New York. My email is Donald.Dwyer@marquette.edu. I majored in Broadcast and Electronic Communication with a focus in Marketing. If you believe everything you read these days, Jeremy Lin is single-handedly responsible for the Knicks’ modest three-game winning streak. 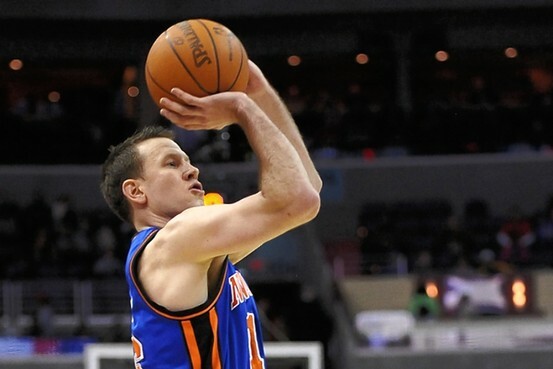 And Steve Novak will be the first to give Linsanity its just due. “Everyone’s been able to see how valuable [he is], the way he gets in the paint on offense and finds guys, how valuable that is,” Novak, whose team meets Kobe Bryant and the Lakers tonight at Madison Square Garden, said earlier this week at the Knicks training facility. Novak, perhaps more than any other Knick, has benefitted from Lin’s passing. The former Marquette standout has scored 19 points in each of his last two games — wins over Utah and at Washington — and is 10-for-17 from beyond the arc in those games. Of Lin’s 18 assists in the last two games, 10 have gone to Novak. “I think you’re really starting to see our offense come together when we have that kind of penetration and that kind of finding guys,” Novak said in crediting Lin, the rookie sensation from Harvard. But he never scored more than nine points in a game for the Knicks until this month, when both Amar’e Stoudemire (brother’s death) and Carmelo Anthony (groin) have been absent from the lineup. Both of those players will miss at least two more games. 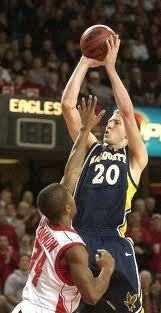 Novak played four years at Marquette for former coach Tom Crean and was drafted in the second round of the 2006 NBA Draft by the Houston Rockets. Even after bouncing around the NBA and the D-League, Novak remains close to his Marquette roots and current coach Buzz Williams. During those summer workouts, Novak sometimes goes up against the famous Marquette product of all time, Dwyane Wade, as well as fellow NBA players Jimmy Butler, Wesley Matthews and Lazar Hayward. “Whenever you go to a school and you have those bonds with your teammates, it’s special,” he said. “But then to carry it over to another league it’s pretty fun. One of them is Novak, who appears to have been swallowed up by Linsanity.